Presenting the conclusion of the Mazinger Z story, unlike that non-ending we got in Mazinger Z volume 5. 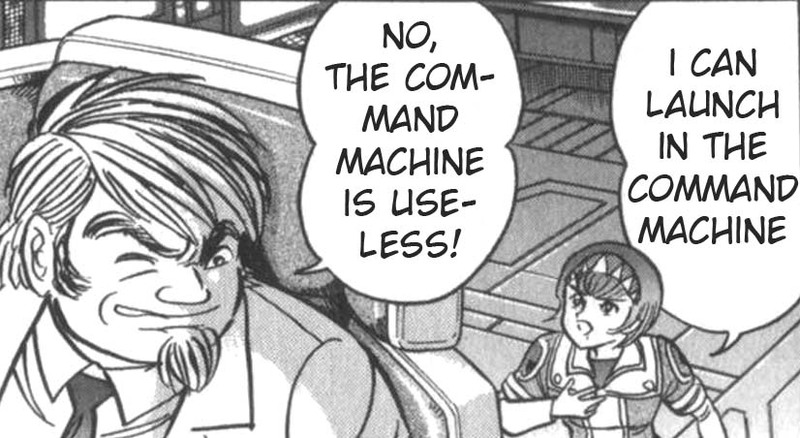 This project is brought to you by Starseeker and Lunasaint, who also translated Mazinger Z. Thanks, guys! Be sure to let them know you enjoyed it over at their release blog. This post will be dedicated to each one of OtherSideofSky's daily chapter releases for Amon volume 5. I'll update this post as they come out. Oh, and by the way, I think OtherSideofSky uses Clock Up. Maybe even Hyper Clock Up. 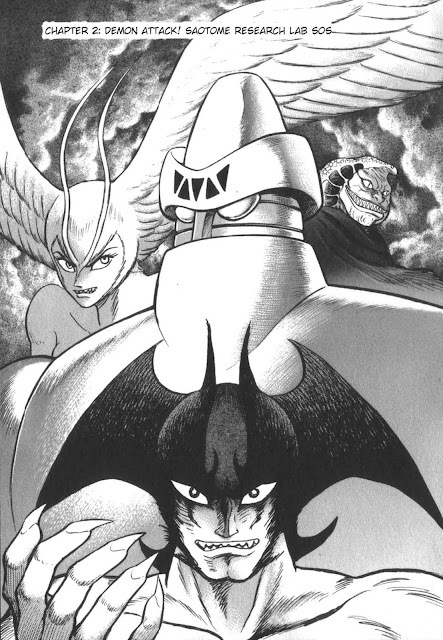 Like clockwork, OtherSideofSky has released the final chapter of Devilman vs Getter Robo! The volume compilation (with a redone chapter 1) will be released after Amon volume 5 is completed. Speaking of Amon volume 5, expect new chapters starting tomorrow. Thanks again, OtherSideofSky. And be sure to check out our friends over at HappyScans!, who have just released the second (and final) volume of Go Nagai's Juushin Liger. Thanks, HappyScans! Always right on time, OtherSideofSky delivers the complete fourth volume of Amon: The Darkside of the Devilman! Expect the last chapter of Devilman vs Getter Robo on Monday. Now for the second part of today's release, Getter Robo Bible! Long sought after, but never before scanned, this tome of knowledge is up for grabs. But remember, this is an untranslated release because finding someone crazy enough to translate all of this is an impossibility. Glad to have that out of the way! 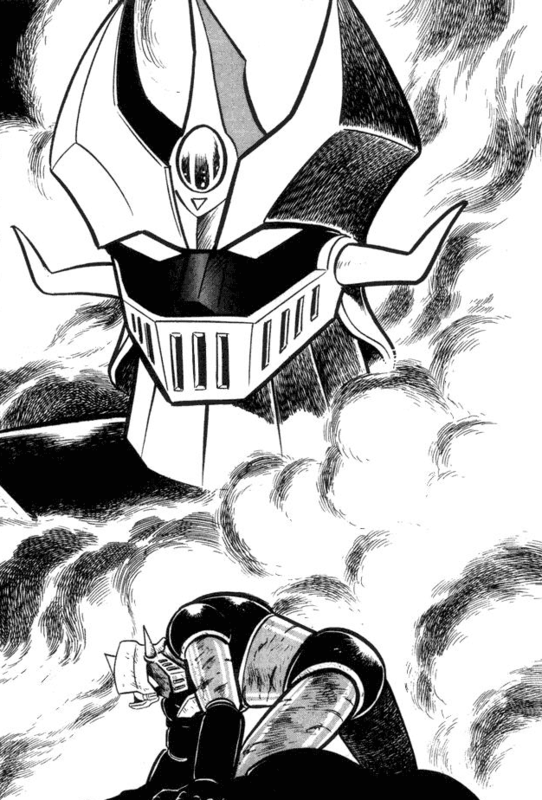 I've been sent the final scripts for Great Mazinger volume 1, so expect a volume release fairly soon. Don't forget to check back for OtherSideofSky's future releases, which will start early next week. OtherSideofSky kicks off Volume 4 of Amon! I'll continue to update this post with each of OtherSideofSky's chapter releases for Amon volume 4 as they come out. Go Nagai's team up continues with this action packed chapter. OtherSideofSky, translator and editor of this release, says to expect a new chapter of Amon tomorrow. 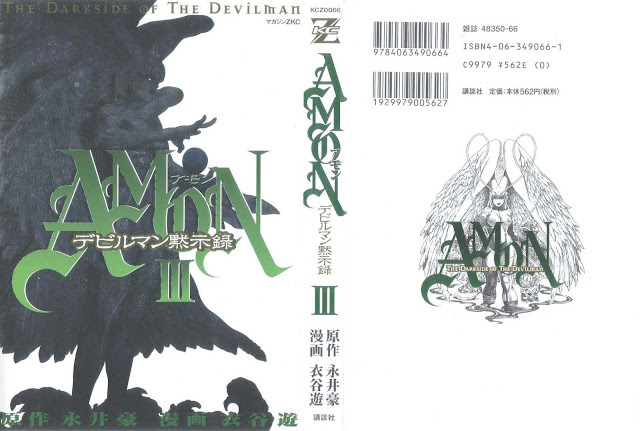 The next chapter of Devilman vs Getter Robo will be released once he completes the fourth volume of Amon. Thanks, OtherSideofSky! Expect a new chapter of Devilman vs Getter Robo Monday, because I'm taking the weekend off and it's probably too long to finish tomorrow. I plan on doing one chapter every weekday after that (my hand is getting sore, so I need to pace myself a bit). Here it is, another volume release of Amon by OtherSideofSky! Not only that, he's also released the second chapter of Devilman vs Getter Robo. I also have some good news for all the Getter Robo fans out there: OtherSideofSky has agreed to translate Getter Robo G! The project will start in September, once some of his other manga work has cleared up. 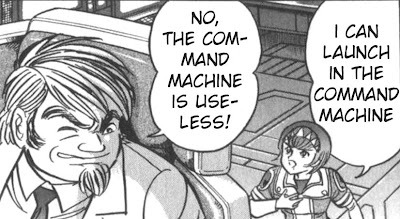 Be sure to give your oaths of complete devotion to OtherSideofSky and get ready for Getter Robo G. Of course, I'll be paying him for his efforts, so donations are a much appreciated help.